Our ablutions in the caravan park works as follows: The bathroom has a shower, toilet and wash basin. When you enter the bathroom you are private and can lock the door. As soon as you are done, you leave the bathroom and we clean it for the next camper to use. Please look in the gallary for photo's of the ablutions. On our Thaba Morula (Offical) facebook page is a short video clip of the ablutions. 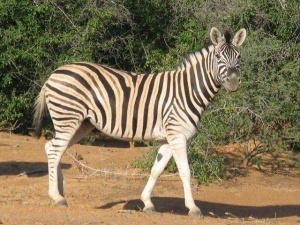 The caravan park and adventure centre is built on 500 hectares of stunning Bushveld with over 15 different species of wildlife, ranging from the elegant Giraffe to the little Steenbok. 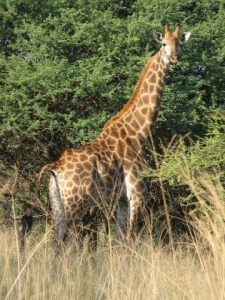 Over 400 species of game to be seen on our wildlife reserve as well as over 200 recorded species of bird life. This is because we are situated between Roodekopjes Dam and Vaalkop Dam, also renowned for bird watching paradise. Set amongst our beautiful gardens we have a large heated outdoor swimming pool with small splash pool attached, along with two jacuzzis (which will only be available if you book 48hours prior to your arrival), a 9 hole putt-putt course with a gaming room close by which offers pool table, table tennis and darts. 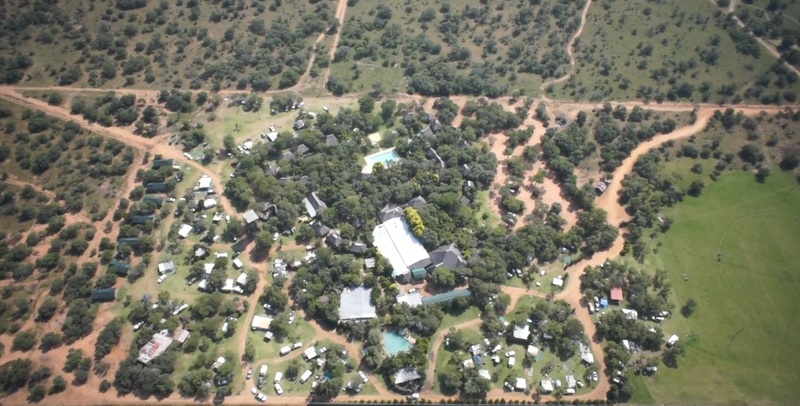 There is a giant chess board available for the "thinking man" and a trampoline and jungle gym for the "jumping man"
Early morning and mid afternoon game drives are also available during your stay as well as mountain bikes (a limited number of bikes are available to hire) You are welcome to bring your own! 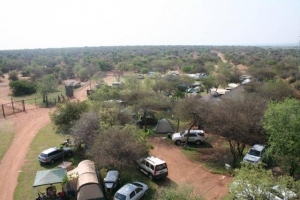 A full program will be organized to keep your children busy throughout the day which includes such activities as treasure hunts, a trip down to Thaba Marula's very own foofie slide and clay dam for "Kleilat". In the evening the kids will get a chance to watch a movie on the big screen or take park in one of the night activities like "Lantern bekruip and night march! Just to name a few. Please note that not all activities will be available without request prior to arrival! A shop is available for your convenience with all the necessities to make your stay more pleasurable and relaxed.